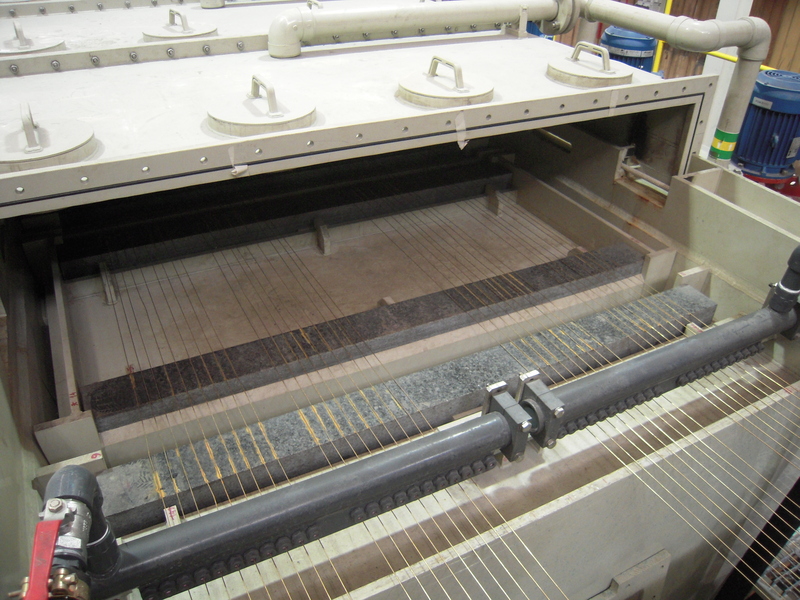 Wire processing lines are all lines that either make a thermal treatment to the wire or apply a coating to the wire. 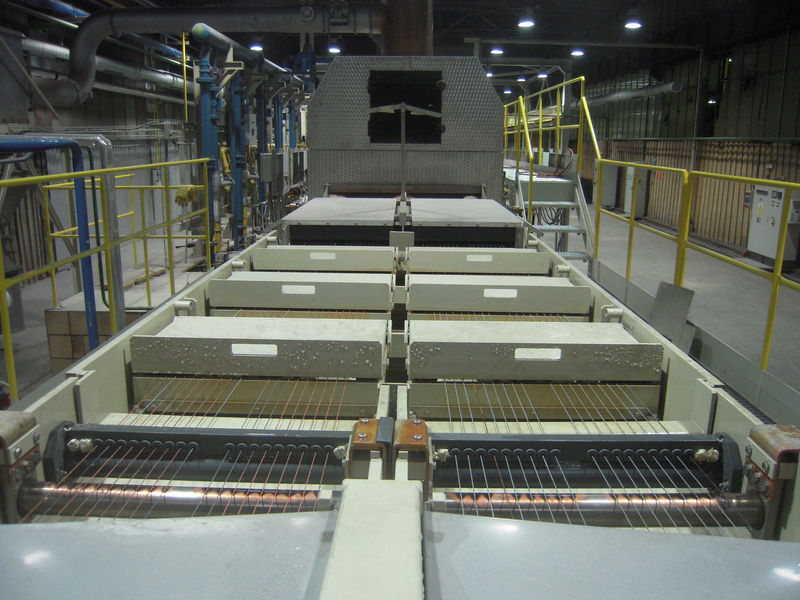 The annealing and patenting lines are used to heat treat the wire in order to re-establish the original grain structure of the steel so that the wire can be further processed to make thinner products. Low carbon wires are annealed in open fire type furnaces where the temperature is carefully controlled in the various sections of the furnace. High carbon wires are processed in similar type of furnaces but are equipped with either a lead quench system or a fluidized bed. The hot dip galvanizing lines are designed to apply a zinc coating on the surface of the wire. Depending on the wipe arrangement that is foreseen on the line, different coating weights can be achieved for various applications and for different wire grades. 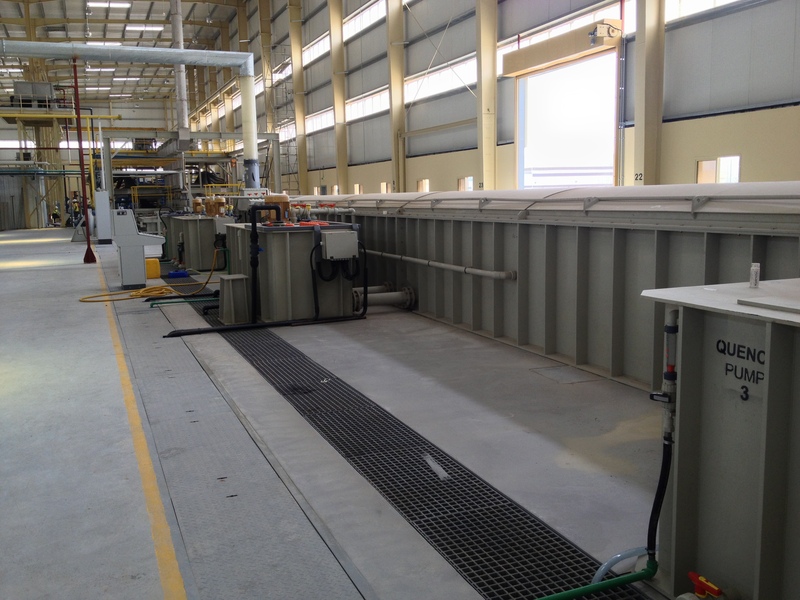 Our galvanizing lines are equipped with oblique draft and charcoal wipe, vertical draft equipped with either a PAD wipe or a exclusive and technically advanced NITROGEN wipe system that on request can be fully automated to obtain very precise coating weights and limit unnecessary zinc consumption. The above lines are generally configured as multi strand lines with a minimum of 8 wires up to a maximum of 64 wires. 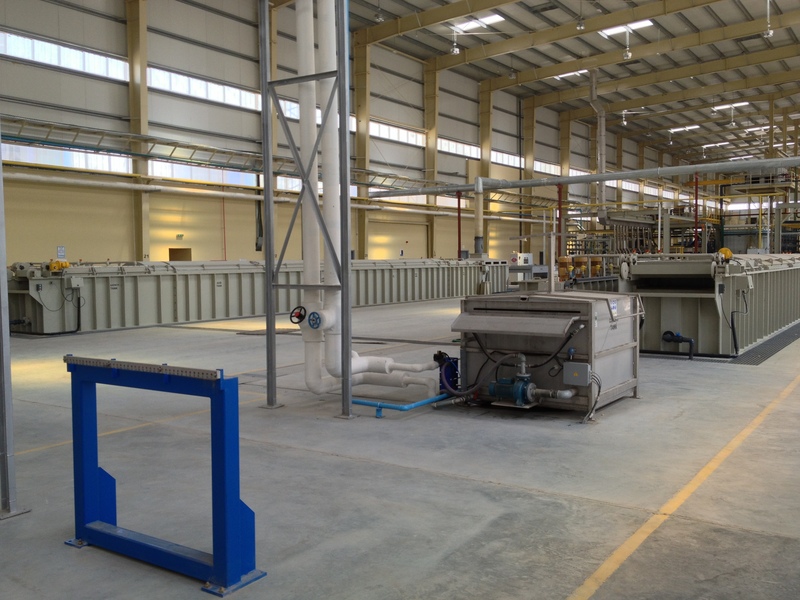 The electrolytic or chemical coating lines are designed to apply tothe surface of the wire a coating such as zinc, brass, copper or other materials. 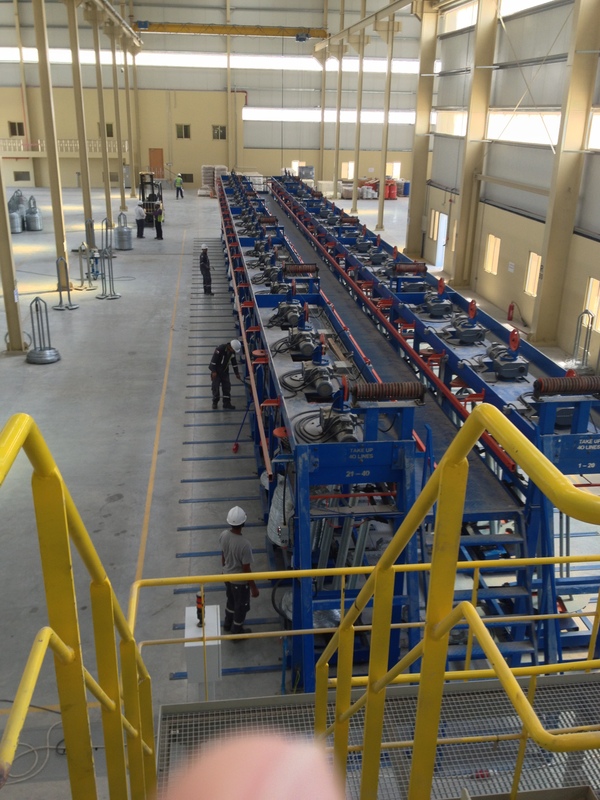 These lines can be configured either as single high speed strand lines or as multi strand lines depending on the product and the production capacity requirements. 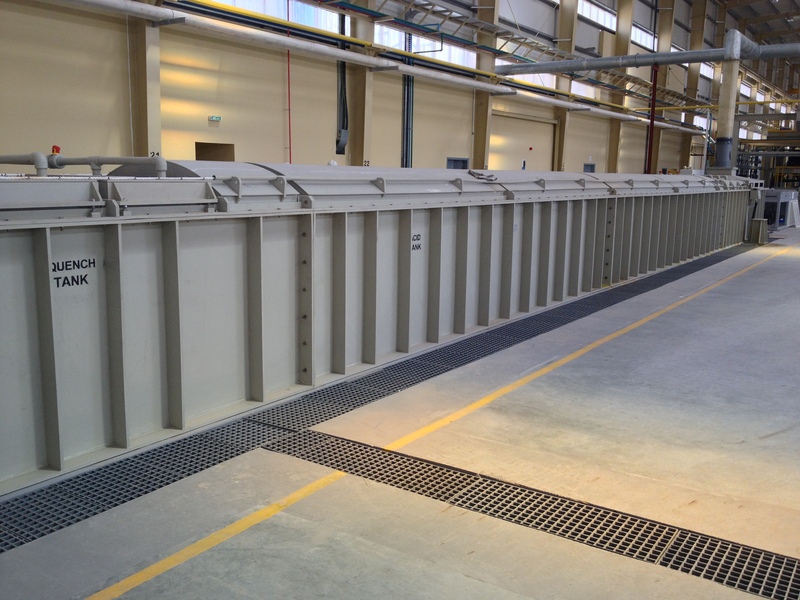 Electro-galvanizing lines are generally used when the coating weight requirements does not exceed 50 g/sqm. A typical example is staple wire. 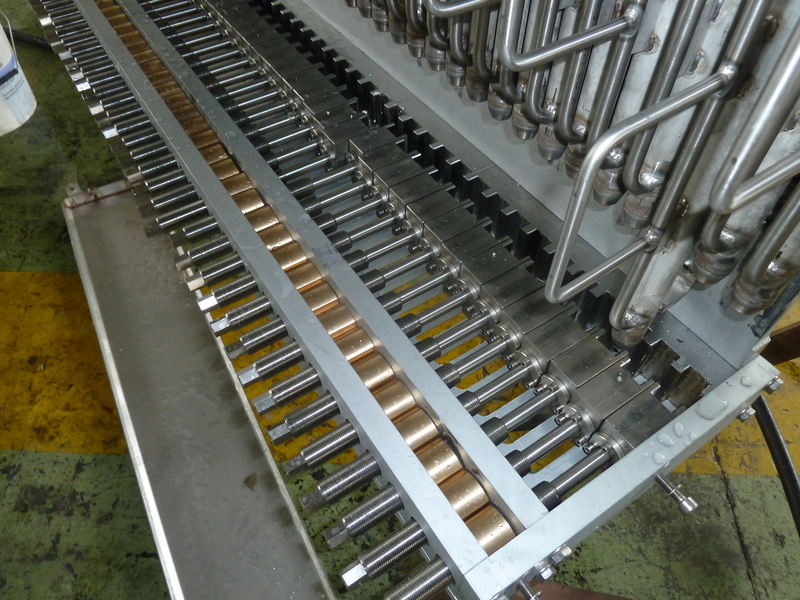 More complex electro-plating lines such as the brass plating lines do require sequential plating of copper and zinc followed by a diffusion system that will melt the two metals together and form brass. Brass plated wires are used to produce tire cord that is used in the tire manufacturing industry as a reinforcement product for tires. 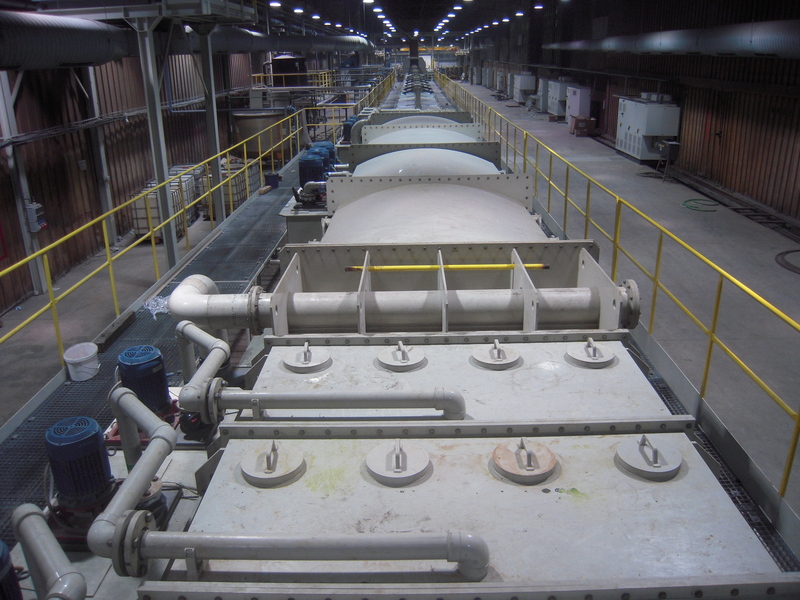 Modern electro-galvanizing lines take advantage of the insoluble anodes technology that makes the management of the line much more simple than before and that allow to achieve an overall better product quality. 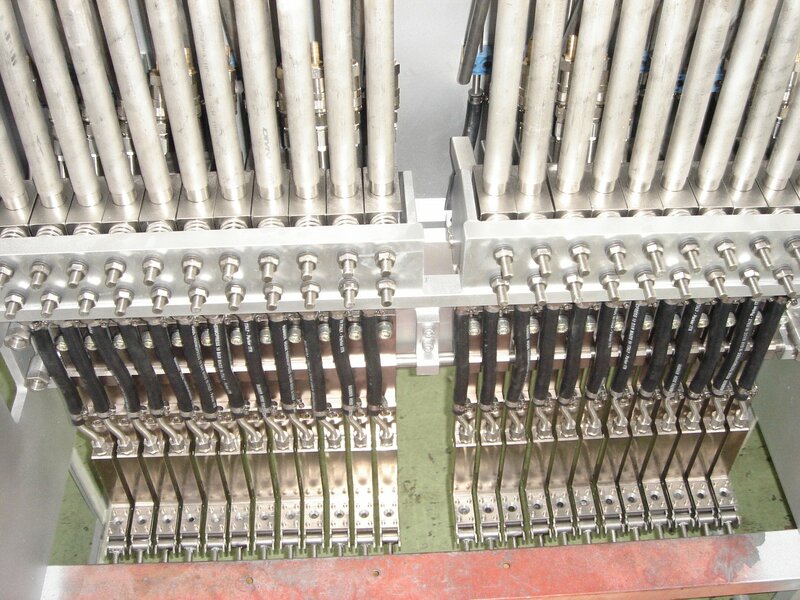 The chemical coating lines are very similar to the electroplating lines with the difference that the coating is applied to the wire only by dipping the wires into the solution. The coating weights are only function of the concentration of the solution and the dip time whereas in the electroplating lines the process can be enhanced by applying current. DDA supervision system: all our lines are supervised by a very sophisticated software that allows to monitor all the process parameters of the line. Pumps, currents, temperatures, flow rates, speeds, coating weights and many other parameters are all under constant supervision of the DDA system that will automatically make process corrections where possible and necessary. All this data collected can then further be reprocessed to obtain statistics, production charts and much more. All Eurodraw Wire Equipment lines are highly customized to customer requirement and are specifically designed for the particular application that the customer want to achieve. We have designed single wire to multi wire lines up to 64 wires for many different applications such as brass plating, ultrasonic degreasing, HCl Pickling, caustic degreasing, tin plating, copper plating, nickel plating.. and much more. 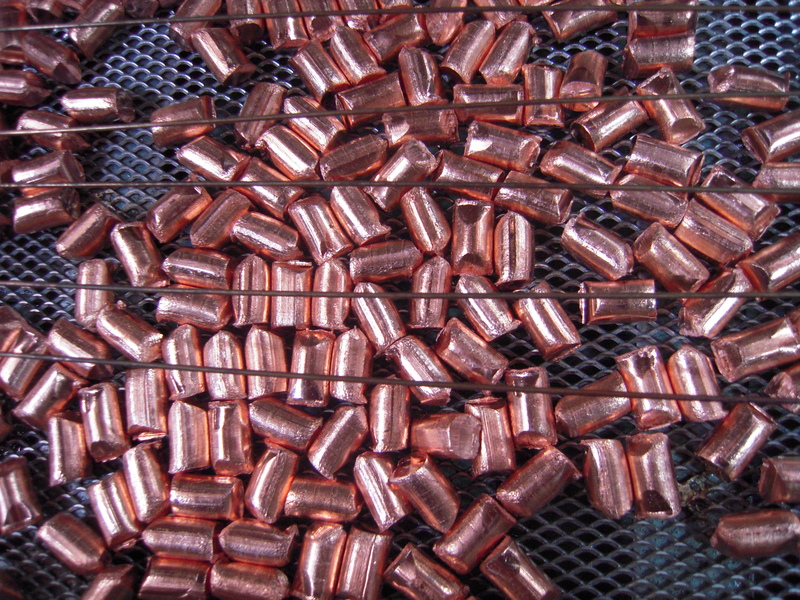 At the exit of the heat treatment furnaces, the wire generally needs to be pickled in order to remove the scale that is formed in the heat treatment process. 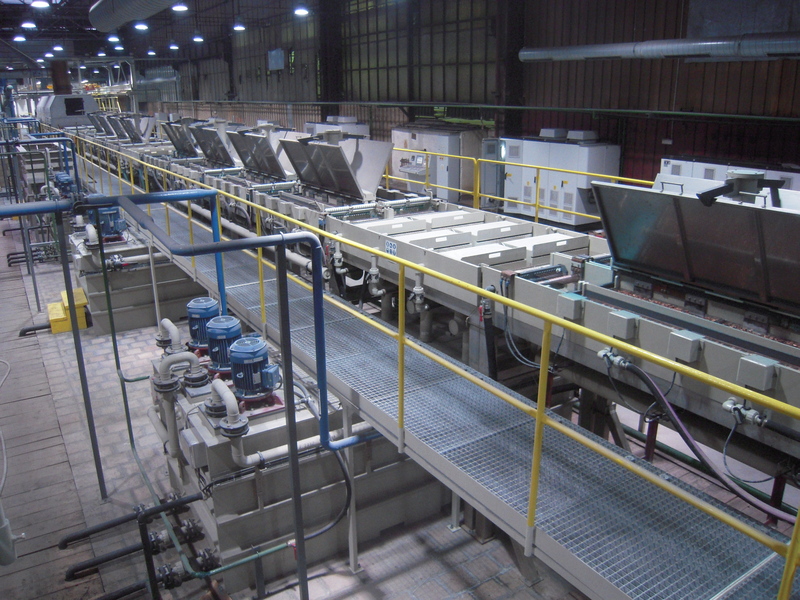 Eurodraw Wire Equipment can supply two types of pickling systems that can be combined with any of our processing lines. Depending on the acid availability at customers site we can integrate in our lines any of these two pickling systems. 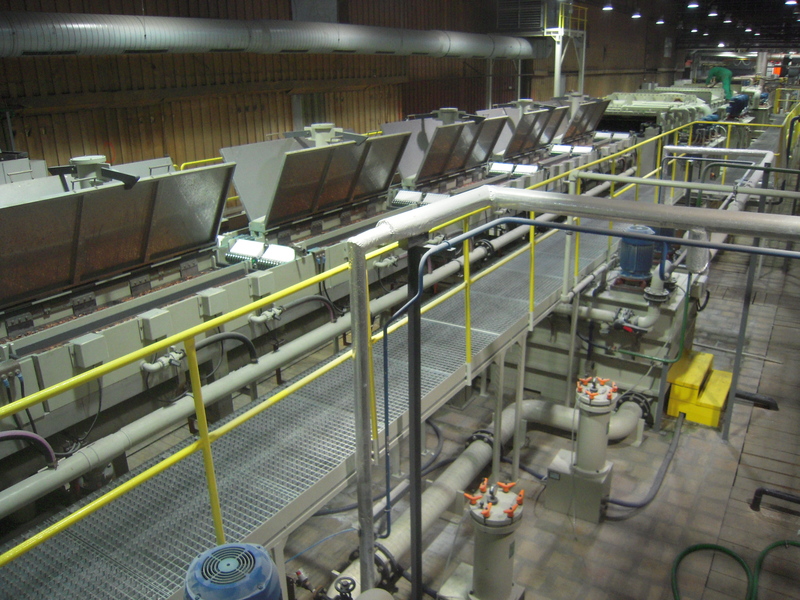 Before any coating process, the wire generally needs to be cleaned from lubricant residuals in order to have a surface that can be suited for plating. 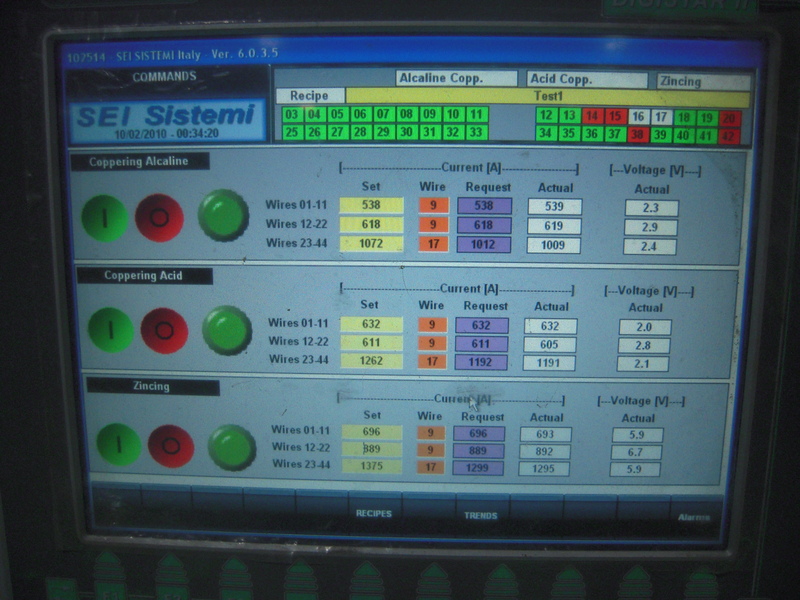 GCREurodraw designs and builds ultrasonic and electrolityic wire cleaning systems, single wire or multi wire. 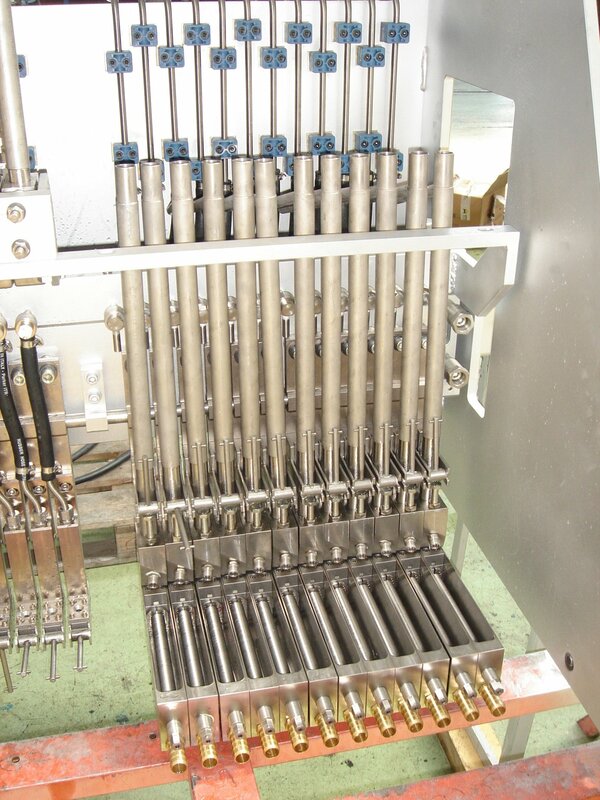 The ultrasonic systems or the electrolytic systems are generally using caustic solutions as degreasing agent. 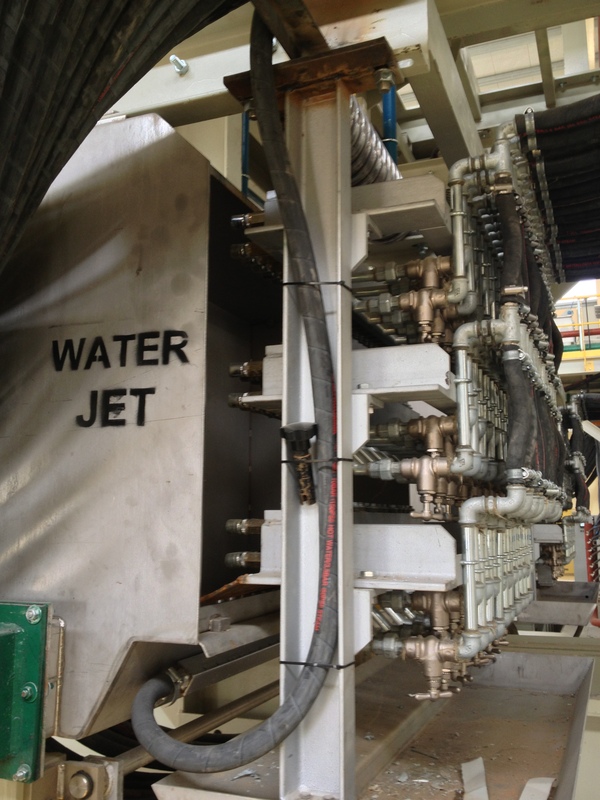 Both units are followed by highly efficient rinse units and air wipes that totally dry the wire prior entering in the plating baths or in the process equipment that follows.